"The only thing that ever really frightened me during the war was the U-boat peril," wrote Winston Churchill in his monumental history of World War II. His fear was shared by many. The North Atlantic was arguably the true front of the war for Europe, and the stakes there were terrifyingly high. Had Germany succeeded in cutting off the supply of American ships, England might not have held out. In a cable to Churchill in May 1941, Franklin Roosevelt put it plainly, "I believe the outcome of this struggle is going to be decided in the Atlantic and unless Hitler can win there he cannot win anywhere in the world in the end." Hitler knew what was at stake. The shipping lanes of the Atlantic became the main target of the Kriegsmarine operations early in the war. Between 1940 and 1945 the death rate there was higher than in any other theater of the entire war, for both sides. The enemy was always and constantly there and waiting, lying just over the horizon or lurking beneath the waves. The conflict consisted of not one battle but hundreds, ranging from hours to days in duration, and forcing both sides into constant innovation and white-knuckled, nightmarish second-guessing, trying desperately to gain the advantage of every encounter. Some of this took place in treacherous seas with mountainous swells, in water so cold that survival in it could be counted in mere minutes. 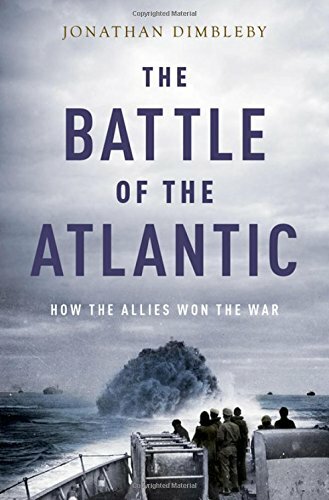 Jonathan Dimbleby's The Battle of the Atlantic offers a detailed and immersive account of this massive and decisive campaign, placing it within the context of the war as a whole. Dimbleby delves into the politics on both sides of the Atlantic, revealing the role of Bletchley Park and the complex and dynamic relationship between America and England. He uses contemporary diaries and letters from leaders and sailors to chilling effect, evoking the lives and experiences of those who fought. 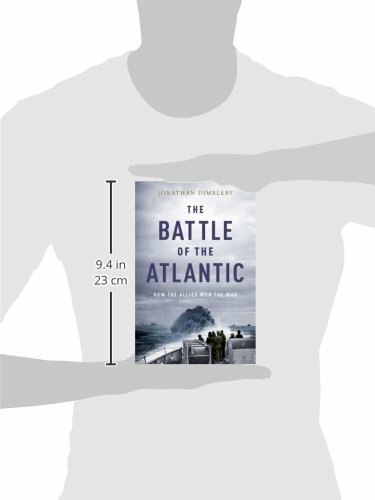 This is the definitive account of the longest battle of World War II. Missions & Campaigns The Battle of the Atlantic: How the Allies Won the War "The only thing that ever really frightened me during the war was the U-boat peril," wrote Winston Churchill in his monumental history of World War II. His fear was shared by many. The North Atlantic was arguably the true front of the war for Europe, and the stakes there were terrifyingly high. Had Germany succeeded in cutting off the supply of American ships, England might not have held out. In a cable to Churchill in May 1941, Franklin Roosevelt put it plainly, "I believe the outcome of this struggle is going to be decided in the Atlantic and unless Hitler can win there he cannot win anywhere in the world in the end."